For a third time in less than two years, one of the three public Board of Regents institutions will be searching for a new leader. The Auburn University Board of Trustees announced today Iowa State University President Steven Leath was selected to serve as AU’s 19th president. 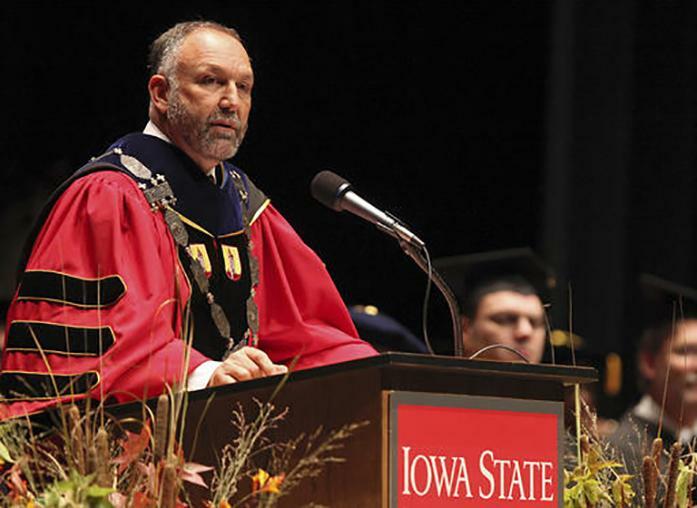 Leath said his departure is with a “promise fulfilled,” citing “record enrollment, retention rates, graduation rates, job placement rates as well as records in fundraising and research funding, and numerous other metrics,” as his major accomplishments since he began as ISU president in January 2012. “We wish President Leath and his wife, Janet, the best at Auburn University,” Rastetter said. Since it was revealed in September 2016 Leath damaged a university aircraft for personal and business use, the last several months have been shrouded in controversy for Leath. He has since reimbursed ISU for the costs of the damage. The departure comes after the selection of a new University of Northern Iowa President, Mark Nook, in December 2016. The University of Iowa also conducted its own search in 2015 that led to the hiring of current UI President Bruce Harreld. Leath said he volunteered to work closely with the regents to find his successor. The regents will be discussing the change in leadership during a “special meeting soon,” Rastetter said in the statement.